Day 1: On the first day of Plexus, Santa brought to me…TriPlex! Today I will be introducing our terrific trio of health, energy, weight management, craving control, mood lifting, inflammation fighting, and gut health! But let’s have some fun first: Comment below with your favorite Christmas decoration–and why if you’d like! Every comment or question you write beneath a post is another entry for you in that day’s drawing (and the month bag of Slim on the last day!). Today’s drawing is for a seven day pink drink sample pack! (1) Yes, you may add people to the group! Just go to the sidebar where it says Add, and type their name! You can do this anytime throughout the event. (2) Ambassadors are not eligible for prizes–but please comment to keep things fun! What have you learned about TriPlex that makes you say, “Oh, I need that!”? 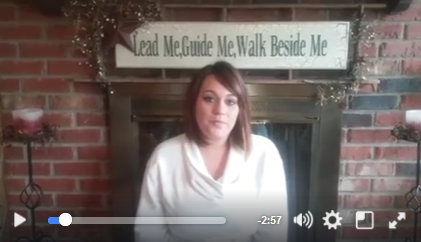 This is the product trio that you probably hear the most about because it truly changes lives! Each of these three products will be expanded upon over the next three days…..but here’s a short intro. 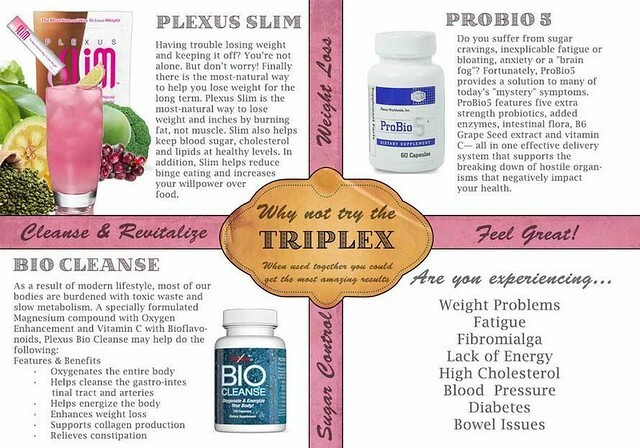 ~What benefits you have had and for how long if you are a TriPlex user! Bonus Video! Another chance to comment for another entry in today’s drawing! It’s that time of night! Time for our daily give-away! Reminder that we will focus on a different product each day–and give a prize each day! Feel free to add people to the group who you think would enjoy learning about Plexus (and having a chance to win a prize)! Today’s winner of a Seven Day Plexus Slim pack is Bev Ross ! PM your address, and I will get your prize out to you! Congratulations on winning–and thank-you for participating and commenting! P.S. Be sure to comment under as many posts as you can–they will all be included in the big drawing at the end for a month’s supply of Plexus Slim! 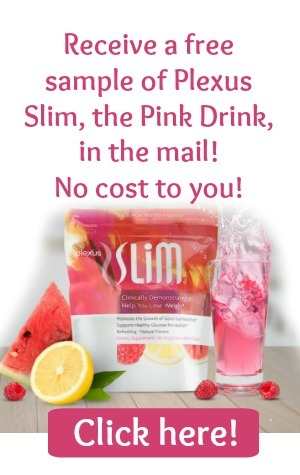 Day 2: On the second day of Plexus, Santa brought to me…a bag of Plexus Slim, the pink drink! 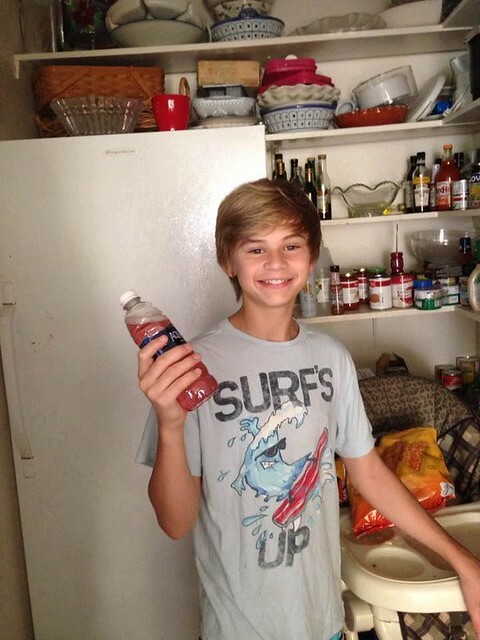 Today we will learn about this amazing “pour and shake or stir,” natural, yummy, health-giving drink! And some lucky “commenter” will win a six day pack of Slim + Block (two capsules will block almost half of the Carbs in your next meal naturally and without distress!). We love Plexus! The products have given us weight management, wellness, sleep, happiness (! ), freedom from discomfort, gut health, energy, and so much more! The business has given our families income to meet goals and more! That being said, Plexus does not claim to heal…it just so happens that many of the products balance the body and solve so many of our issues! And we can’t help but share! So read this….and read our testimonies! Some people are skeptical when I explain all of the health benefits that result from drinking the “Pink Drink”. 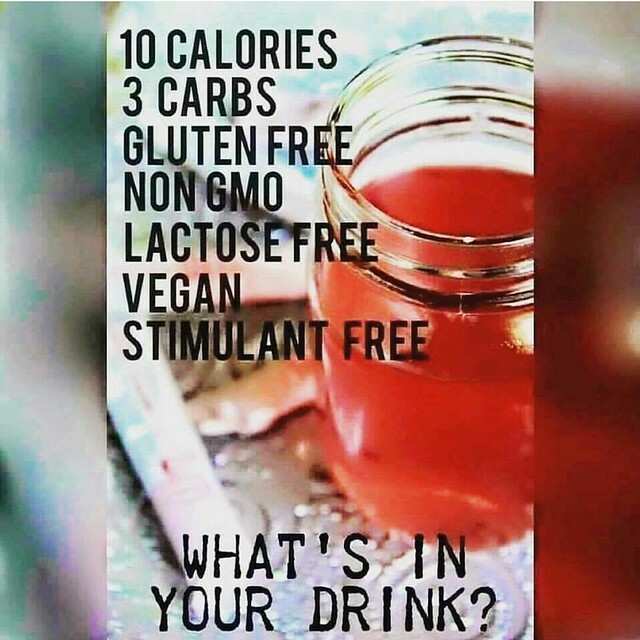 Because it’s called “Slim” most people think it’s just for weight loss, but if you examine all of the natural ingredients that are in Plexus Slim, you can see why it offers such a powerful health punch. This is why people using Plexus Slim see such amazing health results AND why it is so effective in helping with weight loss! It tastes great, too. 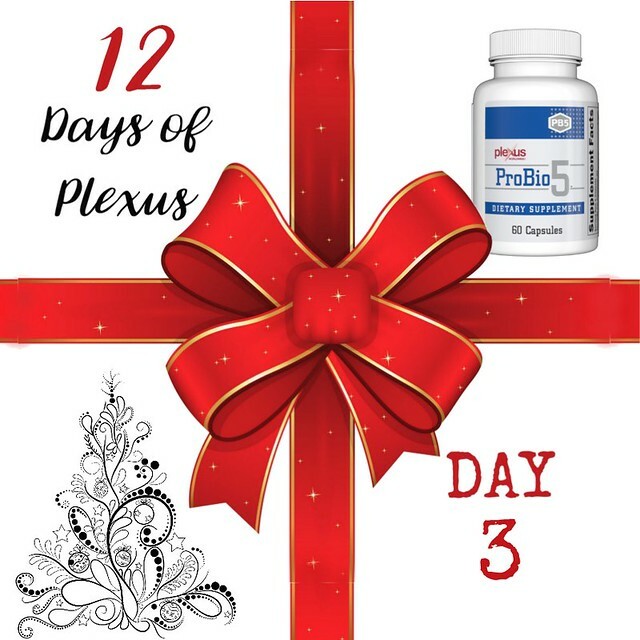 Day 3: On the third day of Plexus, Santa brought to me …ProBio 5! 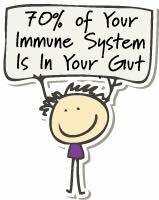 Today you’re in for some eye opening info about probiotics and Plexus’ three-in-one ProBio 5! I had never used a probiotic that had a tangible, noticeable impact on how I felt before this one! Some Christmas fun–Favorite gift you’ve ever given–or one of them! Sure, it’s generally accepted that probiotics are good for you. But what makes ProBio 5 different? Have you tried probiotics before? 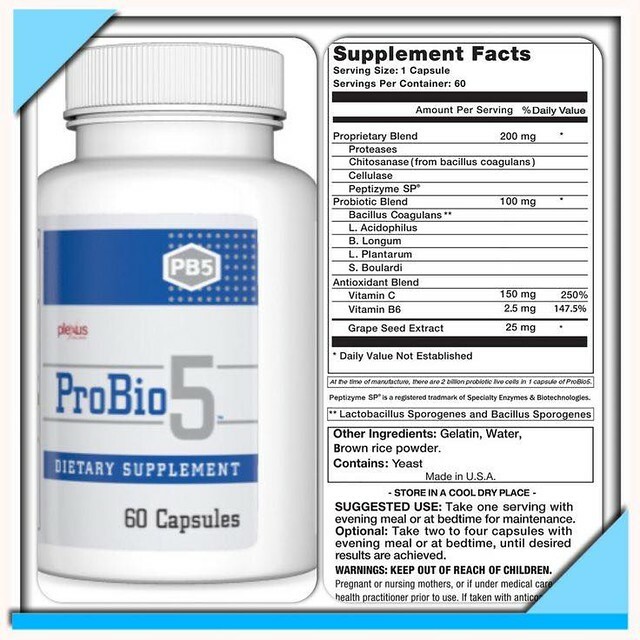 What makes ProBio 5 stand out to you as different? In my video earlier today, I briefly hit on the awesome ingredients in Plexus ProBio 5. 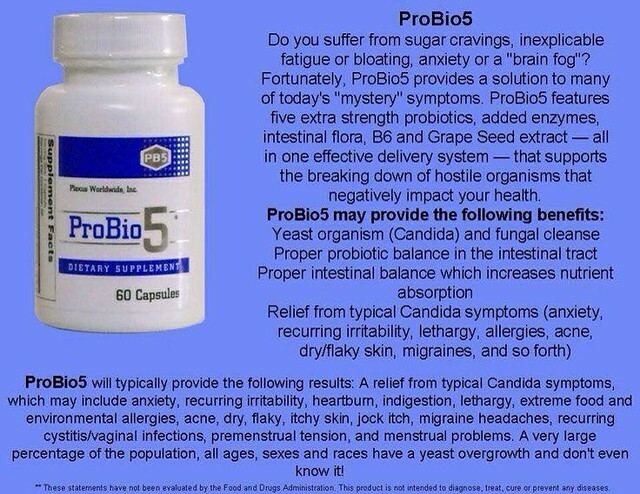 Plexus ProBio 5 truly is different than any other probiotic on the market! Now I’d love I share more! Let’s walk through the ingredients list ?
? Protease: Garbage disposal of the gut. Breaks down food, toxins, cellular debris, and undigested proteins.
? Cellulase: Breaks down cellulose into glucose – the body’s “fuel.” Results in increased energy!
? Serrapeptase: Incredibly powerful enzyme that can dissolve toxins clogging the digestive tract. Can also bust clots in the vascular system and reduce swelling!
? Bacillus Coagulans: Increases immune function and decreases the bad bacteria in the gut.
? Lactobacillus Acidophilus: Helps the body break down simple sugars, which helps people who are lactose intolerant. Also aids in cardiovascular health, digestion, immune function, and can even help with urinary tract infections.
? Bifidobacterium: Assists the body to digest, which can help with irritable bowel syndrome. Also boosts immune function.
? Lactobacillus Plantarum: Attacks pathogenic bacteria, decreases irritable bowel syndrome, decreases gas, and boost immune function.
? Saccromyces Boulardi: Fights off disease-causing bacteria. Especially good for battling antibiotic-induced diarrhea.
? Vitamin C: Helps with immune system function, cardiovascular health, and reducing inflammation. Can even be used in cancer treatment.
? Vitamin B6: Aids in the cardiovascular, digestive, musculoskeletal, and nervous systems. Increases brain function and reduces brain fog. Helps with hormonal control over mood. Necessary to secrete melatonin in the body, which controls the body’s internal clock and wake/sleep rhythms. ?Grape Seed Extract: Antibacterial, antiviral, anti-carcinogenic (cancer), anti-inflammatory, and anti-allergic. Which ingredient do you find most exciting? That’s right! 70%! And this is a conservative number, as many sources claim up to 80%! How often does your body succumb to fever and sniffles? What fun events do you have coming up that you want to stay healthy for? Why is it so important to have enzymes in the digestive system? We need them to break down the bad stuff! What went through your mind when you saw the results? Don’t forget – every comment enters you for a prize drawing!!!!! BONUS OPPORTUNITY TO COMMENT FOR A CHANCE TO WIN A PRIZE!!!!!!!! I will be announcing the winner around 10pm tonight!!!!! Because so many disease processes and body dysfunctions can be traced to the gut, when we target gut health we see a multitude of benefits!
? Increase in energy – I get so much more done every day!!!
? Mood and anxiety: I was able to remain calm and even happy during nursing finals week. Happy during nursing school finals??? That’s right!
? Menstrual regularity – I’ve never had regular periods in my life! And the ones I did get were miserable. Don’t have this problem anymore! It is truly a miracle!!! What health struggles are you or your family fighting? What could you accomplish if Plexus could alleviate those symptoms? 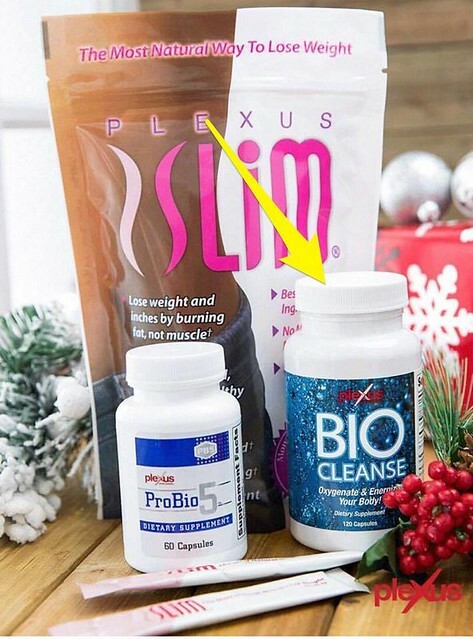 Day 4: On the fourth day of Plexus, Santa brought to me…BioCleanse! Love this product! I used to have so many foot, toe, leg, and sleeping issues! I had tried other magnesium supplements but nothing helped…then this! Great six day Slim drink and Block prize tonight, so be sure to comment throughout the day! Christmas Fun: Funniest Christmas memory! Look at what Plexus does!!! One of my Plexus friends told me about this! The nurse asked her if she took anything that aided in oxygenation. She said, “Yes! Why?” The nurse had her take a look around the room. Everyone else who was giving blood had dark red blood and hers was bright red! Bright red blood is the sign of oxygenation! So what does that mean? Lacking oxygen in your blood can cause serious health conditions. But did you know that disease cannot grow in an oxygenated environment? If you are taking BioCleanse, you are oxygenating your blood. BioCleanse helps oxygenate your blood, which in turn oxygenates body tissues. Biocleanse has the same active ingredient as Milk of Magnesia, magnesium hydroxide. So, lots of people think that it is just a laxative and they steer clear of it. But, because it is combined with vitamin C, it turns into magnesium ascorbate which is even more gentle than magnesium citrate and therefore not even close to the same potency. It also interacts with the sodium to oxygenate the tissues! As a result, it is very therapeutic for the whole bowel. Every cell in the body needs magnesium to function properly. 9 out of 10 Americans are deficient in magnesium, so Biocleanse is the perfect supplement! 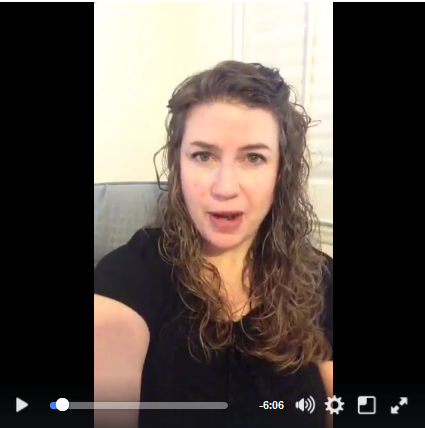 Below is a very quick video from Lyndsay who has a masters in nursing explaining BioCleanse, and how it truly does oxygenate your blood and the vitamin C and flavonoids support collagen. Hello great skin! Here is yet another video! (This one is short) AND, this means yet another opportunity to leave a comment! I’ll be drawing for the prize-bottle of BioCleanse later this evening! 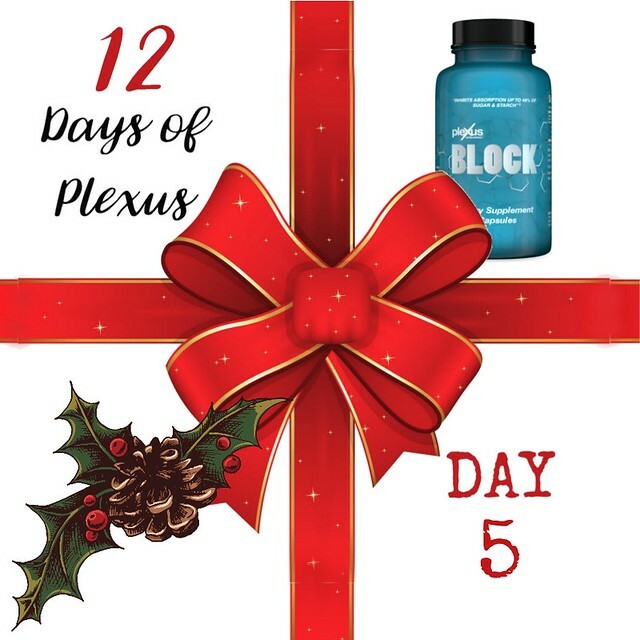 Day 5: On the fifth day of Plexus, Santa brought to me…Block! The first few days we have focused on Plexus’ anchor products, TriPlex. (If you’re late to the party, don’t worry….all of the posts and videos are still here!) While TriPlex is a wellness product offering gut health, inflammation fighting, sleep inducing, mood enhancing, blood sugar balancing properties, people do lose weight while losing it. But the next two days we will focus on our three weight-management-specific products, starting today with Block! And our Christmas fun this morning–since those of us on Block are going to get 48% of our carbs blocked on Christmas, let’s talk about our favorite Christmas goodies. If you took Block, what goodies would you want it to “block”? I love research! I research every ingredient before I ever put anything into my body. Take a few minutes to look up the key ingredients in Plexus Block: Brown Seaweed, White Kidney Bean extract and chromium picolinate. I think you might be as impressed as I am with the way Plexus has combined these ingredients into one product. I think of it like this. During my pregnancies, I had significant blood sugar issues that required a dietary change. I was advised to pair proteins with any carbs to reduce the glycemic effect; in other words, to slow down how quickly the sugars metabolized and demanded insulin. 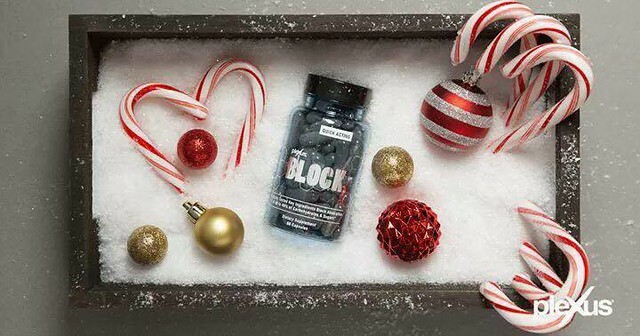 Plexus BLOCK contains clinically-tested ingredients to work immediately to block the absorption of up to 48% of carbs and sugars from your meal – without blocking the absorption of any beneficial nutrients. This product reduces the glycemic index of your food, which also makes you feel full longer! When you eat, the body does what it’s naturally wired to do — converts carbs and sugar into glucose. But when too much glucose is converted at once, the excess can be stored as fat. Excess glucose means excess fat and excess fat can lead to excess weight. Contains clinically tested key ingredients: Exclusive Brown Seaweed Blend, White Kidney Bean Extract, and Chromax® Chromium Picolinate. As with any supplement, check with your doctor to make sure it is a good fit for your health needs. Block is a source of iodine, so keep this in mind whether you need it or should avoid it. Wow! Kim Philips is a certified sports nutrition coach and she breaks down the nitty gritty of Block. As you listen, be aware that some things have changed since she made this video. She does such a great job, andt I will just give you a heads up about the changes. This spring Plexus announced that the formula of Block has been reformulated to make it even easier to use. Instead of taking Block 30 minutes before a meal, the new formula goes to work in just minutes. You can take it right before you eat. 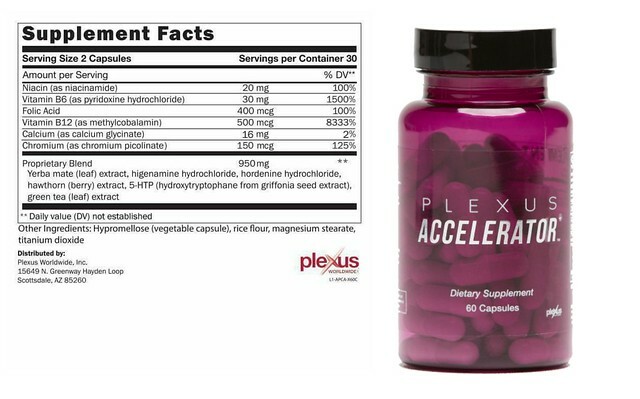 Day 6: On the sixth day of Plexus, Santa brought to me . . .Accelerator and Boost! The first few days we focused on Plexus’ anchor products, TriPlex. (If you’re late to the party, don’t worry….all of the posts and videos are still here!) While TriPlex is a wellness product offering gut health, inflammation fighting, sleep inducing, mood enhancing, blood sugar balancing properties, people do lose weight while losing it. But yesterday and today we are focusing on our three weight-management-specific products. Yesterday we did Block and today we are excited to learn about Accelerator and Boost! 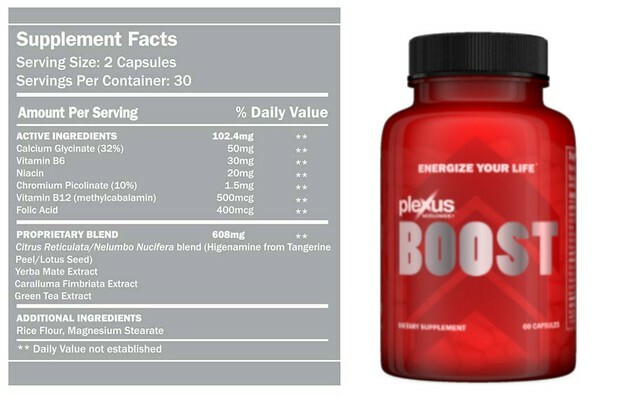 In a nutshell, Accelerator or Boost enhances weight management safely and effectively and especially when you add a healthier diet and a little movement. You take either Accelerator or Boost, never both. Each works a little differently and we will learn about them today. So, stay tuned! The first five seconds or so of my video got cut out somehow. Unfortunately I didn’t have time to make another, all the info is still there so no worries! Today like yesterday the products are more about weight loss, although that’s definitely not the only benefits of Accelerator or Boost. I’m no ingredient expert but what I like about our products is each ingredient is clearly listed on the bottle or bag. Every time I research our ingredients I learn amazing things! There are such great health benefits that come from everything put in these supplements. I do my best to answer questions about the ingredients but I always encourage people to look them up on their own. I learn best when I do my own research. I find that when we take the time to read about things ourselves it usually sticks with us more! I’d like to play a little game! Look at the ingredients, pick a few then look them up. Comment what you learned about them. You can copy and paste if you like or take a screen shot whatever is easiest for you! First we will do Accelerator then later we will play the same game with Boost. It’s time to play again but with Boost! If you missed my last post look at the ingredients, pick a few then look them up. Comment what you learned about them. You can copy and paste if you like or take a screen shot whatever is easiest for you! 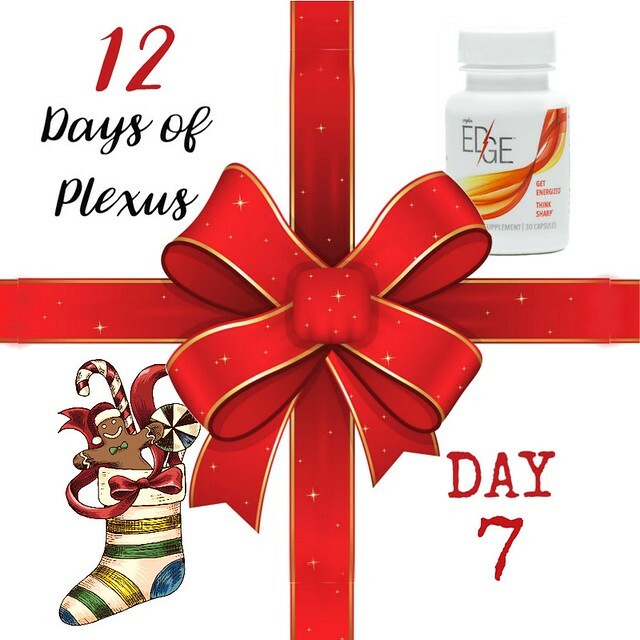 Day 7: On the seventh day of Plexus, Santa brought to me…our newest product, Edge! Today we’re going to give up energy drinks, afternoon slumps, and foggy brains with one natural capsule as we get our Edge on! But to start with, our Christmas fun–this is a closed group, so nobody will see…what gift is under your tree that you cannot wait to give this year? 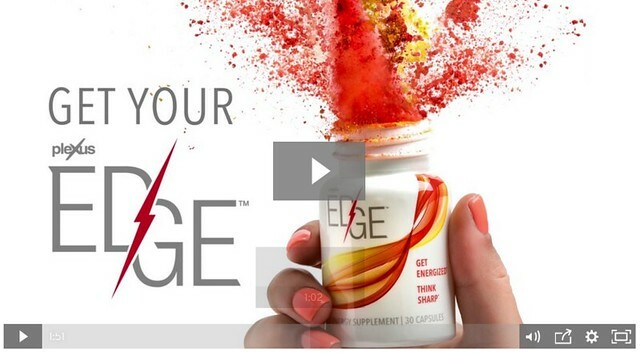 Plexus Edge is our newest product and quickly becoming a favorite of many! Watch this video to learn why. Share one thing you learned about Edge in the comments. ➡️Learning how you can buy Plexus products at wholesale prices? ➡️Learning how you can get your own products paid for? ➡️Learning how you can bring in a part time income from home? ➡️Learning how you can create long term residual income with Plexus? Day 8: On the eighth day of Plexus, Santa brought to me…X Factor vitamins! Before Plexus, I rarely used supplements. Why spend the money if there was no difference with or without them. And vitamins were no exception! Then came X Factor with aloe!!! Before, I could go four weeks without going to the nail salon and sixteen weeks without getting my layers trimmed–but no more! These vitamins work–to the tune of noticing a difference in how I feel if I skip, having to get hair cut way more often, and no yellow pee!! (The aloe makes them stick–not get urinated out!). Christmas fun first though–favorite Christmas song!! I have three–fave to sing, fave to listen to, and fave to dance to! Did you know that Plexus has reformulated X-Factor and that it is now the world’s only fully methylated multi-vitamin formulated with aloe? This is a HUGE. HUGE. HUGE game changer!! Why? Help me out here since Jill Warness explains ‘why’ so much better. Listen to the extra bonus video I will share in the first comment and let’s talk about how X-Factor is set apart from other multi-vitamins. 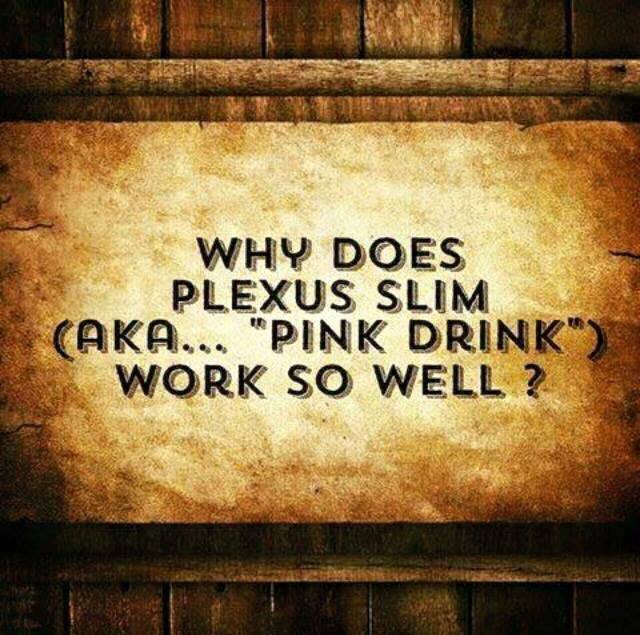 With Plexus, a multi-vitamin isn’t ‘just’ a multi-vitamin!! *Remember that YOUR comments will be counted towards the drawing tonight!! Oh!! And the prize will be FIVE CHOCOLATE PLEXUS 96 PACKETS!! Woo Hoo!! Oh my word!! Just GOOGLE New Zealand Black Currents. Yes. Just do it!! I can’t share half of what I just read because Plexus can’t claim to diagnose, treat, cure or prevent any disease. The good thing about that is it leaves room for YOU to insert your health issues and try out Plexus X-Factor for YOURself to see what results YOU will have. Consistency is the key that will unlock and deliver support for your whole body wellness. What I will tell you is that New Zealand Black Currents are the most amazing little blue fruits. Ever. 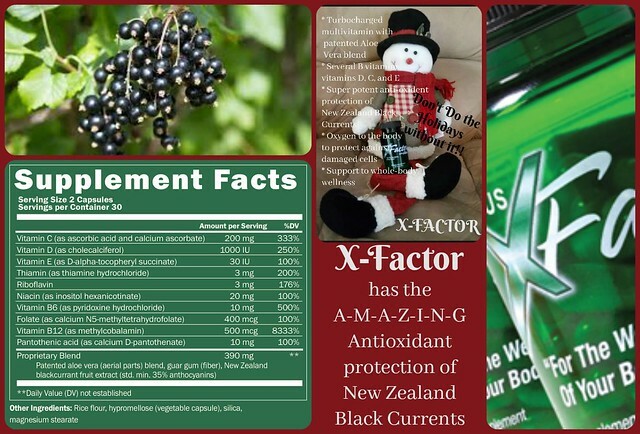 For centuries the New Zealand Black Currents have been used to maintain health and sustain all sorts of health related issues. The phytochemicals in black currents have been used to assist in reducing inflammation. In 2009 the Plant and Food Research Scientists Inc found and published that New Zealand Black Currents could help reduce the stress from exercising. I could go on and on researching and sharing what these amazing little berries can potentially do to maintain wellness in our bodies. This is just one of the many ingredients packed into each of these X-Factor capsules (or the chewables). I already liked Plexus X-Factor quite a bit. Taking the time to research just one ingredient, has stepped-up my opinion for this turbocharged multi-vitamin to-the-next-level so that more than ever, I LOVE LOVE LOVE it!! What do you think? What do you LOVE most about the New Zealand Black Currents? 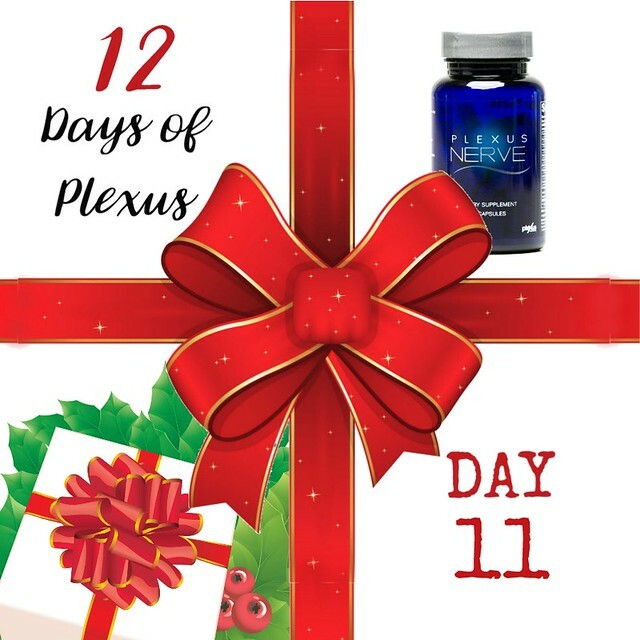 Day 9: On the ninth day of Plexus, Santa brought to me…Mega X! Amazing sleep and no fishy-ness are just two of the benefits of this incredible, plant-based omega! But first…I used to be a junk food junkie, but now, thanks to Plexus, I don’t crave sugar anymore. I am, however, allowing myself a couple days of sugar over the holiday! So….Christmas fun–what sugary treat would you allow yourself on Christmas? Today’s product feature is the amazing Mega X. Most of us know that Omegas are essential for good health. Since our bodies do not produce fatty acids on their own, we must get them from our diets or a supplement. Not only do our bodies need fatty acids to function, but fatty acids also deliver big health benefits in the areas of cardiovascular health and brain function. 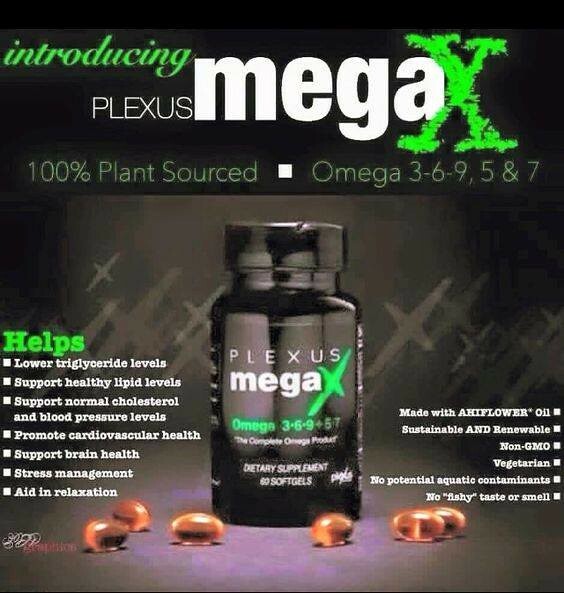 Mega X is a plant-based Omega that contains a full spectrum of Omega-3 fatty acids. 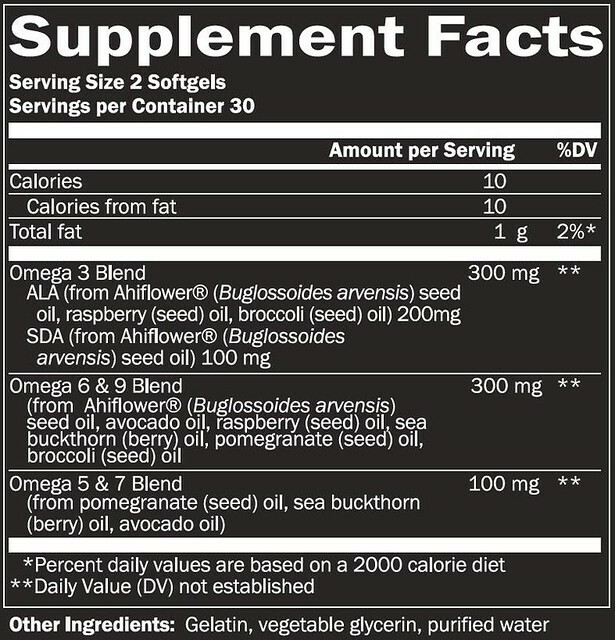 In addition to Omega 3 acids, mega X also contains omega 6,9,5, and 7 making it a complete omega package all in one softgel with no fishy aftertaste since Mega X is a plant based omega product. 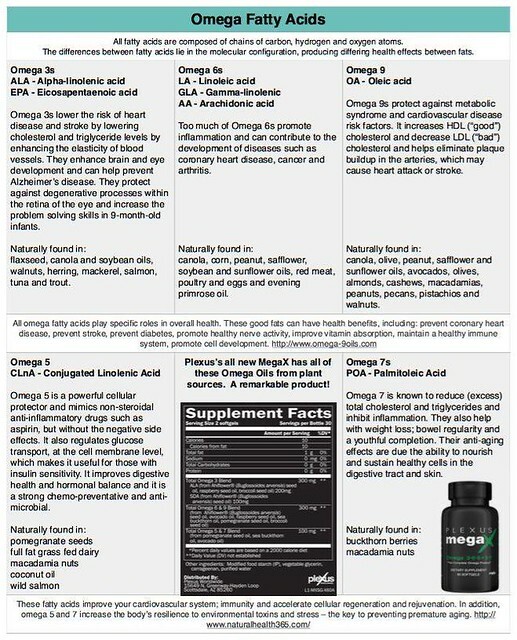 What are the benefits of using a plant based omega instead of a fish oil? Plexus MegaX active ingredient AHIFLOWER® Oil contains the Omega-3 stearidonic acid (SDA) which your body converts to EPA (the essential fatty acid found in fish oil) up to 5 times faster than flaxseed oil. So what are the benefits of Mega X? Day 10: On tenth day of Plexus, Santa brought to me…Ease products! If you have ever wished you could take something natural for discomfort that really worked, you are in for a treat! If you have ever wished you could rub something natural on achey muscles–and feel natural relief, you are in for a treat! I am in love with Ease! But Christmas is coming quickly, so tell us the truth—how ready are you…or aren’t you???! 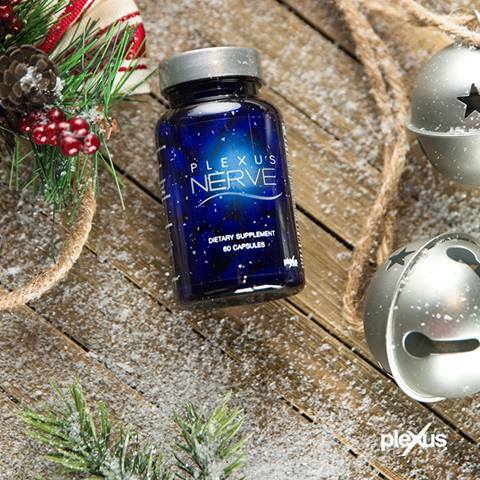 Day 11: On the 11th day of Plexus, Santa brought to me…Plexus Nerve! 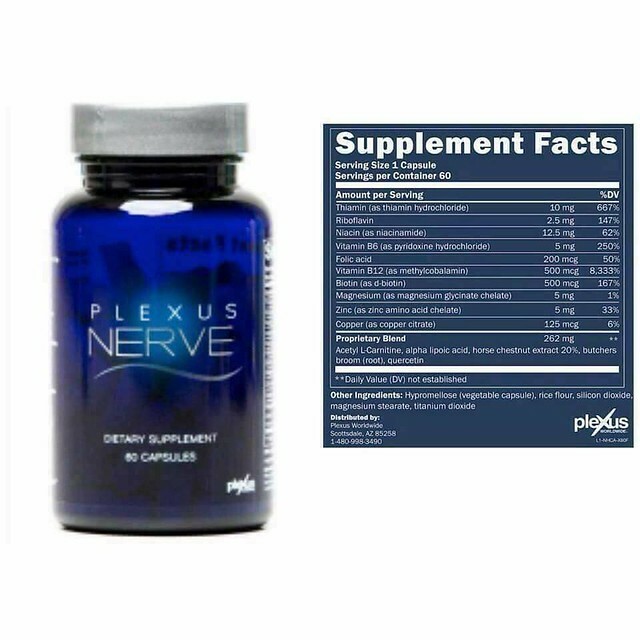 Natural nerve support for many uses….you’ll want to listen closely to this amazing product. I still can’t believe that plants can work as effectively as this product does! Christmas is so close….are you still watching Christmas movies! Tell us your favorite(s)! When we are struggling with something chronically or intensely irritating, we can’t ignore it. Many people are struggling with chronic discomfort, tingling or numbness with little to no relief. That is why a doctor developed this blend to bring relief for those who were not getting the results they expected from other products. Some people cannot or do not want to take over the counter products. I have heard amazing testimonies. Our list of Plexus products is short, but sweet. Because of these fabulous blends of supplements, it is a simple systematic way to take care of yourself. The dosages are easy to tweak for you own personal results or during times of illness or injury. 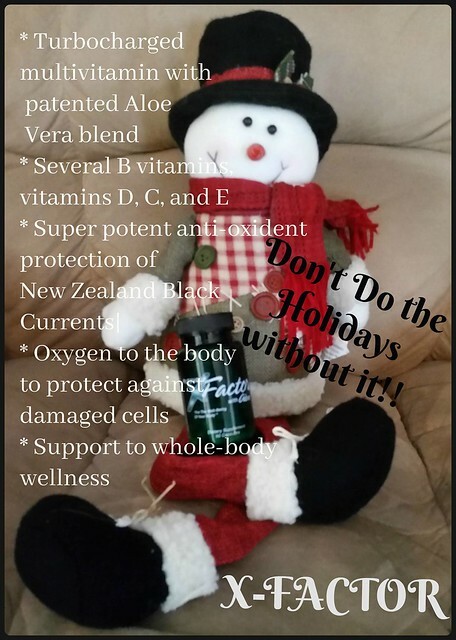 Day 12: On the twelfth day of Plexus, Santa brought to me…P 96 shake mixes! Looking for the best tasting, low-calorie, high protein shake mixes to add to your healthy lifestyle? Look no further! Oh, and don’t forget to add those comments and questions because tonight’s final give-away is for a full month supply of our amazing pink drink! Even previous winners are eligible to win tonight! Final Christmas fun–Christmas memory or feelings that you want your children or other special children in your life to take with them into adulthood? Donna Reish November 15, 2016 November 30, 2016 Ambassadors, Business, Join My Team, Plexus Business Opportunity Enter your password to view comments. Donna Reish November 13, 2016 December 3, 2016 Digestive Issues, ProBio 5, Testimonials Enter your password to view comments. Donna Reish November 7, 2016 December 3, 2016 Plexus Business Opportunity, Plexus Products and Ingredients Enter your password to view comments. 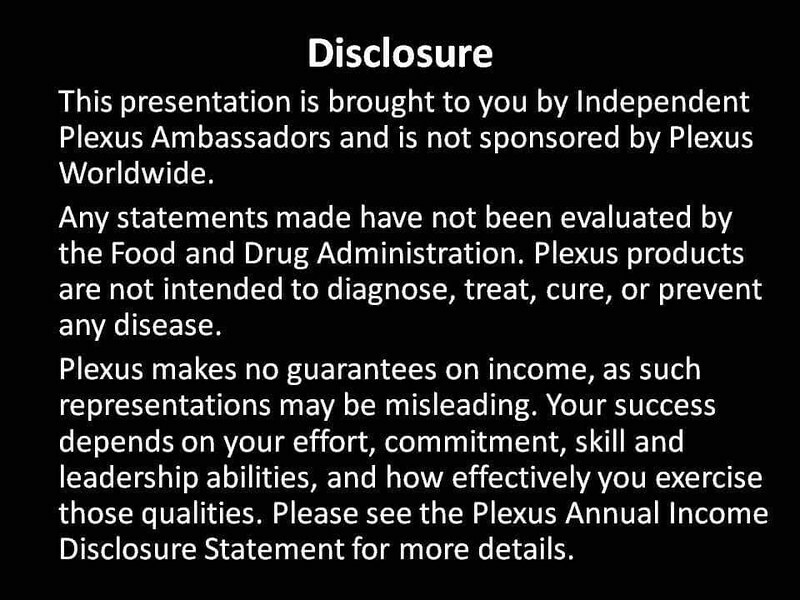 Donna Reish October 31, 2016 December 3, 2016 Ambassadors, Plexus Business Opportunity, Videos Enter your password to view comments. Donna Reish October 15, 2016 December 3, 2016 Purchase Plexus Enter your password to view comments. Donna Reish September 13, 2016 December 3, 2016 Ambassadors, Donna’s Plexus Peeps, Videos Enter your password to view comments. Protected: PASS Zoom Training Tonight! Donna Reish September 12, 2016 December 3, 2016 Ambassadors, Donna’s Plexus Peeps Enter your password to view comments. Donna Reish September 8, 2016 December 3, 2016 Ambassadors, Donna’s Plexus Peeps, Plexus Business Opportunity Enter your password to view comments. 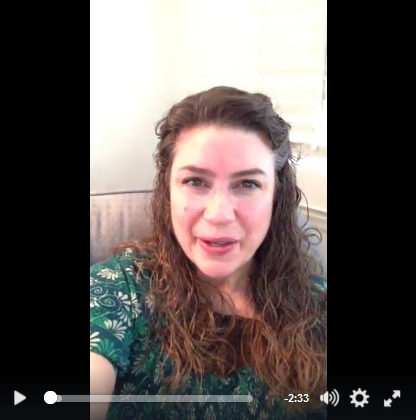 Donna Reish September 3, 2016 December 3, 2016 Ambassadors, Emotional Swings, Testimonials Enter your password to view comments.